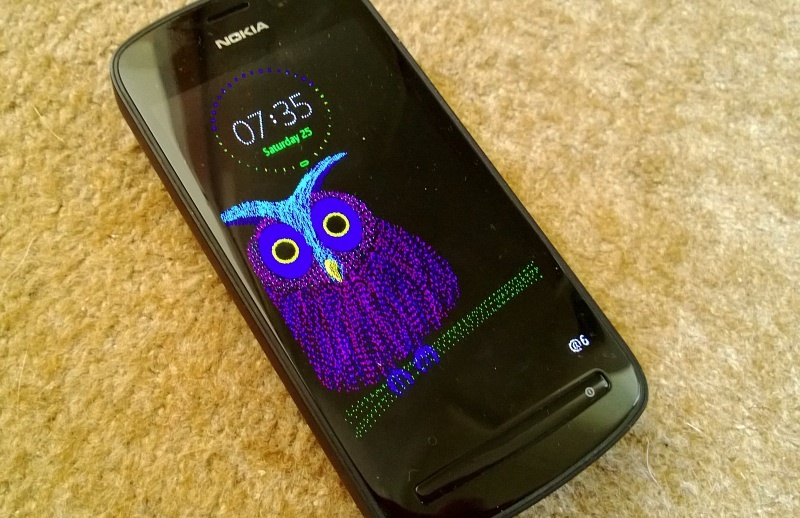 The idea, first seen on the Nokia N86, running S60 3rd Edition FP2, in 2009, was that since AMOLED screens light up by virtue of their pixels 'glowing' for themselves (i.e. and not requiring a battery-draining backlight plane), and given an OS that's supremely good at power management, why not run a lightweight task permanently that drives just a few pixels on the screen to display the time and date? The battery hit turned out to be quite small, of the order of a couple of percent, and the benefits of always displaying the time are obvious. 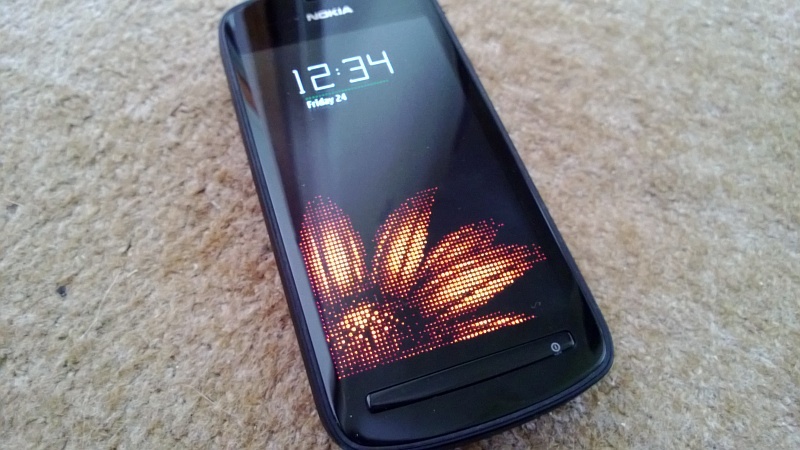 Now, the N86's always on clock just had a small font and basic information, but the idea got developed for the next generation of AMOLED-screened Symbian phones, the 2010 Nokia N8, C7, C6-01 and E7, and persisted into the 2012 Nokia 808, shown in the photos below. At first, the font was just made bigger, so that even those with poor eyesight (and, for example, in the middle of the night with bleary eyes) could see the time without difficulty. Nokia's engineers went one step further though and, in a sequence of events that surely had its origins in something similar to the infamous Google '20% time' policy, came up with 'Sleeping Screen', offered initially through Nokia Beta Labs and then pushed to all phones through the Nokia Store since 2011. The idea here was to take on a few more 'always on' pixels, to display more creative and attractive clocks, plus pretty graphics to.... well.... look pretty. And make you smile every time you look at your phone. An always-on clock is utterly addictive. Even if you discount the Sleeping Screen cute graphics, just having the time on the screen at all times, with no need to press a button or tap a screen, is insanely useful many times a day. And especially at night, with your phone doubling as a rather good bedside clock. The only real requirement, apart from a fairly power efficient operating system, for always-on display is the use of an AMOLED screen. Making it fascinating to note that Nokia's latest two Windows Phone flagships, the Lumia 928 and 925, both use AMOLED displays. 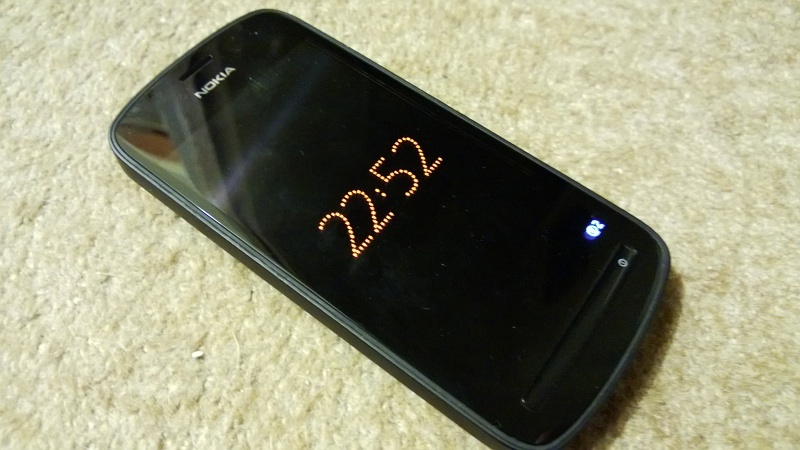 Rumours have it that (along with 'double-tap-to-wake', something else introduced in the Nokia N9), an always-on clock is also coming to AMOLED-screened Windows Phones in the upcoming Nokia 'Amber' firmware update, i.e. including the Lumia 820 as well. Note that this is a Nokia update, i.e. not from Microsoft, though it will need core OS support to work at all, specifically the Windows Phone GDR2 update coming in summer 2013. 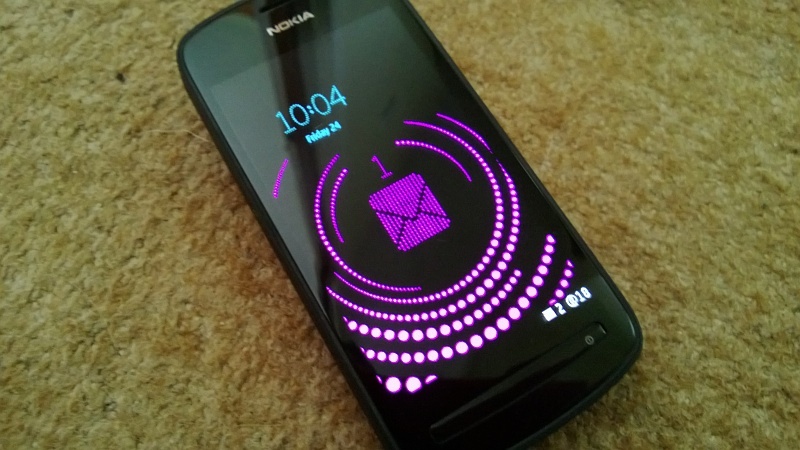 At which point I'd like to request Nokia's software team look at implementing not only a bare bones clock, but also either or both of the fun graphics from Sleeping Screen on Symbian or/and the extra notifications from the always-on clock in Meego and the N9. Comments welcome. Have you installed Sleeping Screen in the past on your Symbian device(s)? How badly are you wanting an always-on clock on Windows Phone? And how far do you think Nokia can go on Windows Phone to match its previous efforts on Symbian and Meego?